It was an invitation that could not be refused. 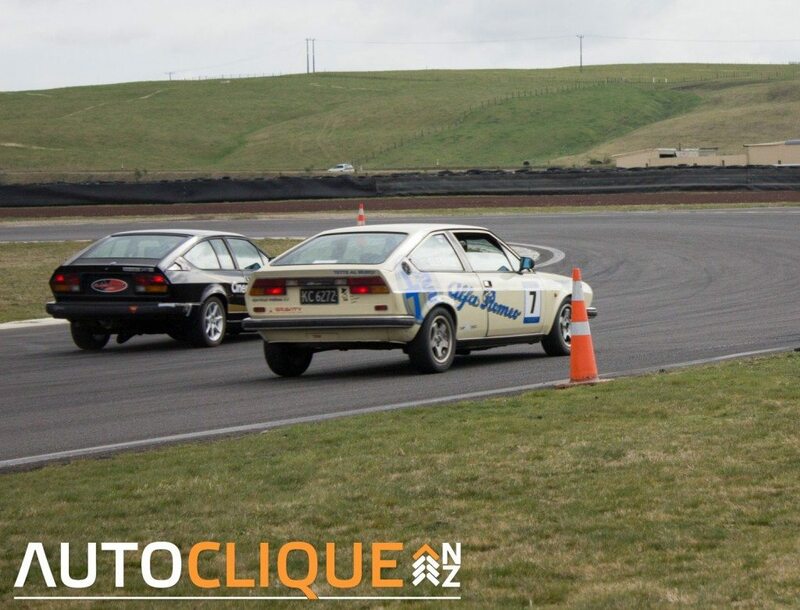 Go to Taupo Racetrack, hoon around, drive home. 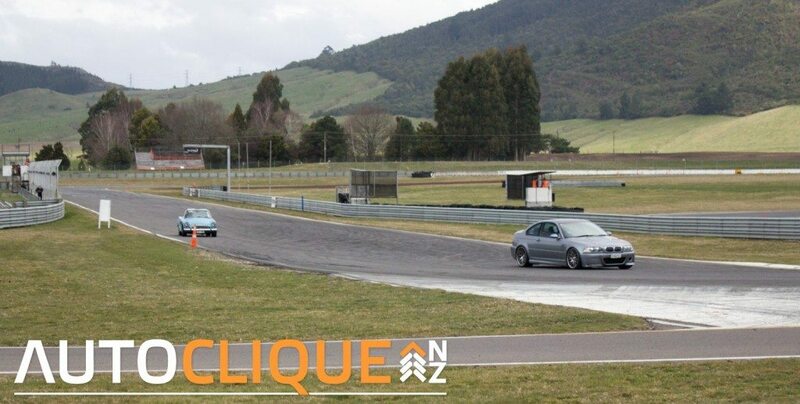 For those who have never done it, there is absolutely no experience that compares with taking your car on to the track with no speed limits and no traffic coming the other way. Cows, dogs, possums, children, senior citizens…there are no hazards other than your own right foot getting carried away. 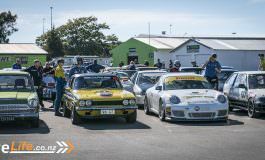 While the event is hosted every year by the Alfa Romeo Owners Club (AROC), this year other clubs were invited along. 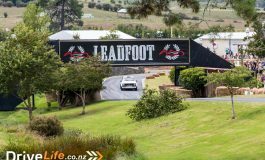 I went along both as a representative of drivelife.co.nz and also to give my ’65 Sunbeam Tiger V8 a good run without worrying about getting a speeding ticket. While the day opened with heavy fog – delaying the opening of any racing until about 10.30 – the fog lifted enough to allow the organisers to open the track. 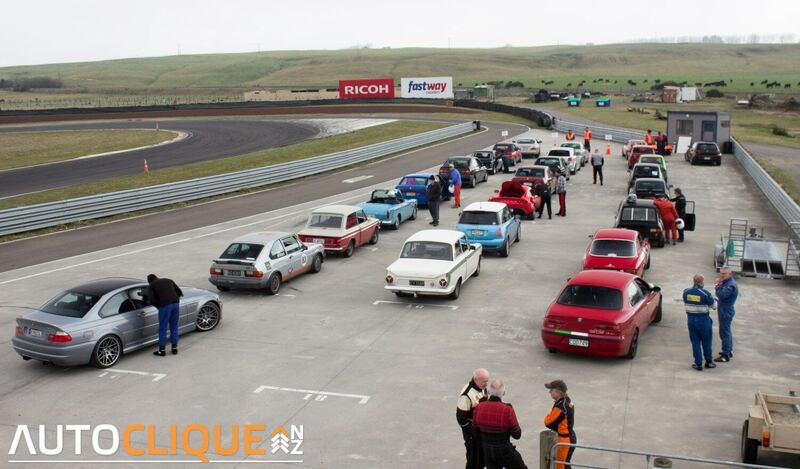 Three classes were run – Novice, Road Cars and Race Cars. For the Novice Class (which I went in – I’d never been on this track) each driver was given a coach to go around them for the first run to get some advice on where to take corners, and where to brake and change gear etc. 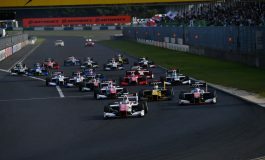 What a difference that made – I felt like I improved every lap with the coach beside me, and even after that first run when I went out on my own, I could still hear his advice in my head. Well done, AROC. I’m happy to report I kept my right foot generally under control and neither spun nor totally lost control. Sure, there was a bit of tail sliding and too many times when I spun the rear wheels under acceleration, but on the whole I think I managed to do pretty well, except getting blasted past every run by an M3 CSL BMW. No chance of giving that guy a run. As you can imagine, there was some pretty tasty machinery there on the day. Many drivers and spectators were just wondering about drooling, as was I. 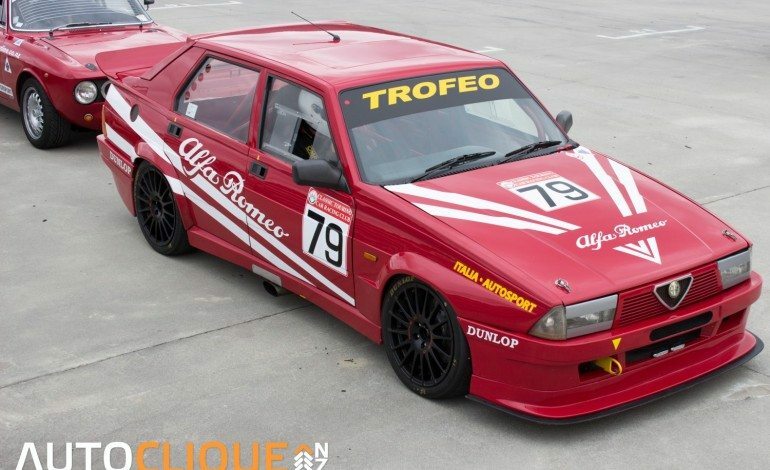 Some stunningly presented Alfa Romeo race cars were great to look at, great to hear and fantastic to watch. These guys (and girls – there were plenty of lady race drivers) did not muck about on the track and there were lots of duels going on every time they went out. If this is a yearly event, then I better start booking my weekend away for next year. It will take a herd of wild horses to keep me away. 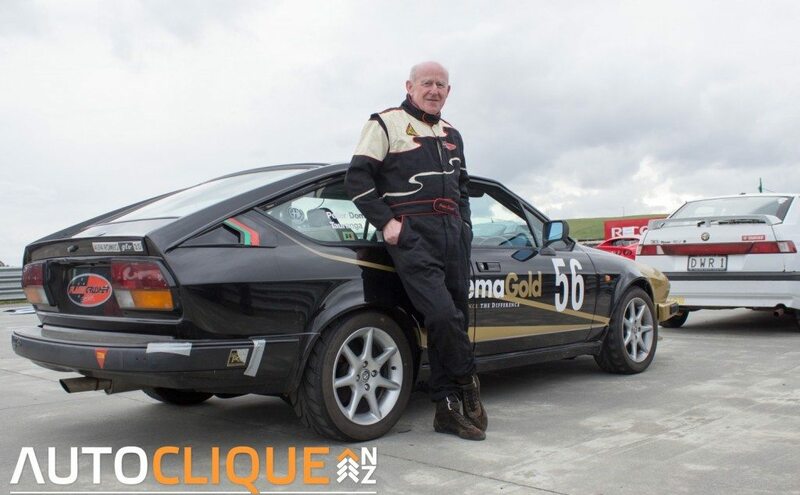 “My car is a 2003 Lotus Elise, Series 2. I’ve had it for 8 years now – really it’s just an oversized go kart,” Terry says. Why race? 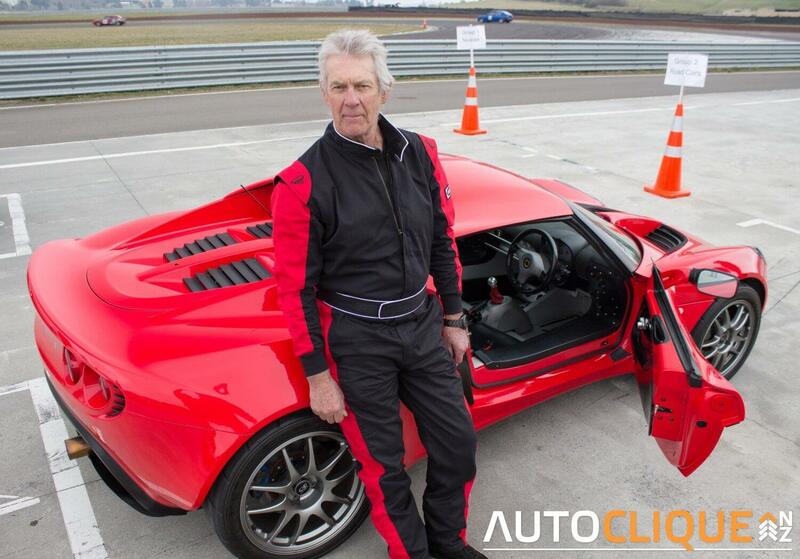 “An old guy like me needs a toy to get the adrenalin flowing, and the Elise does that. I’ve made some engine mods to make it go faster; new cylinder head, a port and polish, a high-lift cam, bigger valves, a free flow exhaust.” It’s made quite a difference Terry mentions, and it revs much more freely. I expect this Lotus puts out some serious horsepower. 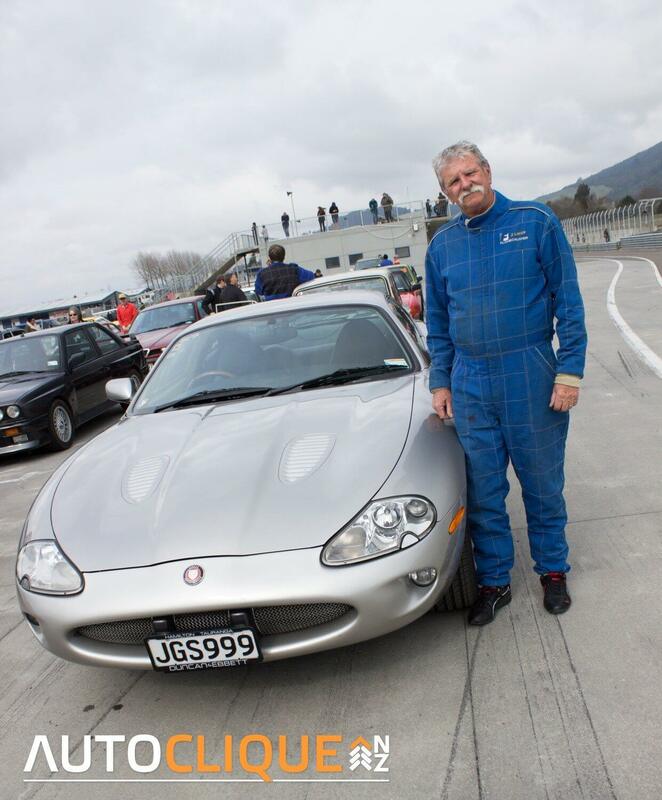 Terry isn’t a stranger to the track, and even though he’s approaching 70 he gets out about 7 times a year to the track, visiting Manfeild, Taupo, Hampton Downs. What is about getting on the track Terry likes? “I just enjoy it – it’s a rush. It takes 40 years off your age,” he answers. I have to agree with Terry on that – it’s a rush that can’t be beat. Previous article 2015 Nissan Juke NISMO RS - A Juke Of All Trades?